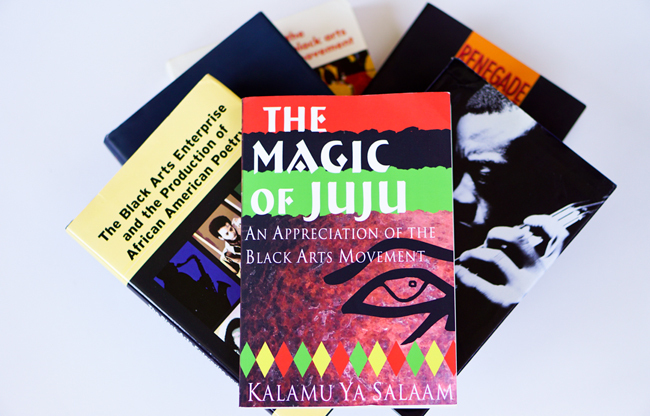 Kalamu ya Salaam's The Magic of Juju: An Appreciation of the Black Arts Movement (Third World Press, 2016) offers a historical look at one of our most important cultural moments in the production of African American artistic thought. The book includes chapters on: definitions of the Black Arts Movement; its historical background; the national birth of the movement; its theory and practice; publications; audio recordings; theatre; related black music of the art and era; film and television; dance; visual arts; critics of the time period; the critical assessment of the movement. The book also includes images of black arts texts by Eugene B. Redmond, a study guide by Jiton Davidson, and a dialogue between Salaam and Margo Natalie Crawford.